We have developped some methodologies to forecast jellyfish stranding, using numerical model (NEMO OGCM mainly) and lagrangian transport models (ARIANE and ichthyop) to simulate virtual particles mimicking the jellyfish path. The projects related to this study are now ended (jellywatch and Medazur), but the methodology used can be found in the publised article below. L. Berline, B. Zakardjian, A. Molcard, Y. Ourmieres and K. Guihou, 2013. 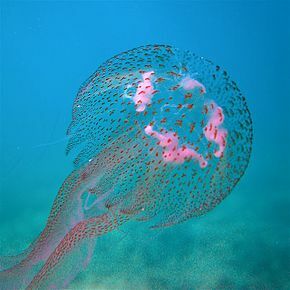 Modeling jellyfish Pelagia noctiluca transport and stranding in the Ligurian Sea. Mar. Pol. Bul., 70 (1-2), 90-99.